Sheffield Ingle fighter Fidel Castro Smith ended a fine, 30-fight boxing career on this day in 1995. 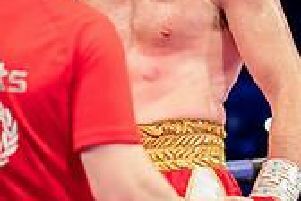 Also known as Slugger O'Toole, the Nottingham-born boxer lost his British Super Middleweight title fight with Ali Forbes on points at York Hall, Bethnal Green. Smith had won the title four years earlier.